Just testing some edutech tools this morning, this is my first attempt with Animoto, which lets you make free 30 second animated slideshows. I’m picking up on a topic I wrote about two years ago. – Do you recognize all of the bearded men in the pictures? 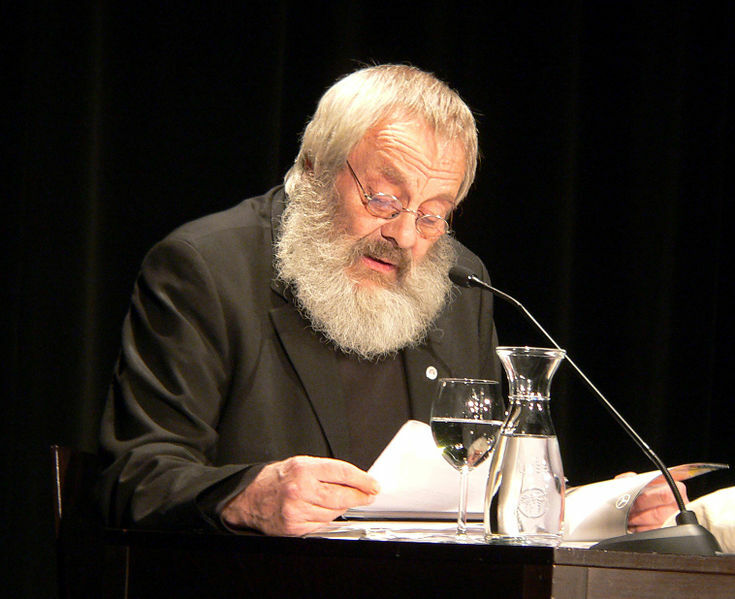 BTW: A group of us is going to see a great bearded man reading at Amerika Haus here in Munich on Sunday: Harry Rowohlt, quite possibly the greatest translator from English to German. He’s responsible for Winnie the Pooh, Shel Silverstein, Ernest Hemmingway,… and he’s been touring, reading the letters of Karl Marx and Friedrich Engels with Gregor Gysi. On Sunday he’ll be reading from his translations. Quite an inspired rhyme from Loudon Wainright, unfortunately i could only find this version for you. Not the best quality and also a truncated and not brilliant rendition of his song The Picture which usually makes me cry. Wow. Both. Hope both brotherly-sisterly love and beards come home this week. you didn’t know him already? Nope! One of those strange blind spots. Looking him up I saw that he was in all the right places including listening to Dylan in 1962, playing on M*A*S*H and Saturday Night Live and being married to Kate McGarrigle. I first noticed him when you and Vicki, I believe, were talking about He Said, She Said, and I enjoyed that but stored him away as “just” a novelty act. ah! maybe i can do a bit of musically educating you at last!! In his early days his stage show was very “novelty” singing in a very comic way, but his songs are often of the utmost sensitivity. some are funny, some are very sad. his son – Rufus Wainwright and daughter Martha wainwright both good musicians in their own right. He had a small part in Tim Burton’s – Big Fish – the guy who welcomes the lead character to the Heaven-like town in the middle of the forest – in one scene he is playing the banjo. And if you can find his song Happy Birthday Bob (for Dylan’s birthday) it too is good. As is a lot more besides. My better half here (Randy) immediately said – Dead skunk in the middle of the road – that was his hit, very environmental etc. about cars killing animals. So, we’ve checked in on it. Seemingly Loudy used to perform in Massachusetts back then. I’ve been tracking the family down since Anne’s posting of Stephen Foster’s song in January – Bad times come again no more – with the sisters, the son and EmmyLou. Things just fall into place at one time or another. He says, since he’s come down with this nervous disorder, his doctor lets him get properly drunk just four times a year – no more – he says “sich gepflegt die Kante geben” (literal translation: to give yourself the edge in style) and now he’s always worried he might miss that date. His unsolicited encore (he’s always making these self-deprecating introductions) were four selections from Shel Silverstein.